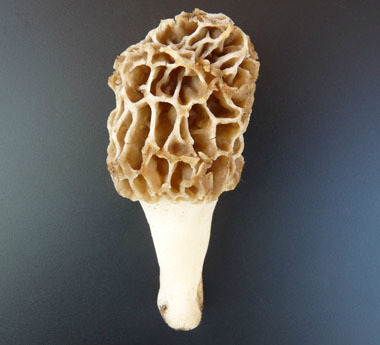 Overview: Morels belong to the Morchella genus because they are part of the "True Morels." The cap colour varies from pale cream, to ochre, to yellowish brown, sometimes slightly darkening with age. The ribs along the ridges between pits are usually slightly paler than the interior of the pits. Caps are tightly attached to the stem. Cut lengthwise it will be hollow from bottom of stem to top of cap; it looks like a rubber mold. The cap is longer than the stem. Most caps have a rounded cap with denser ridges yet some caps may have a more pointed cap appearance (still with the denser ridges). 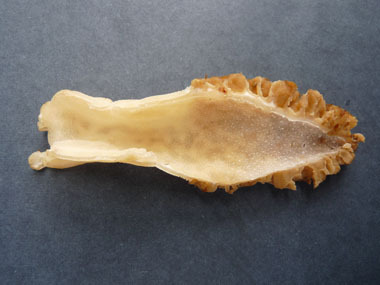 Distinguishing Features: Yellow morels are edible and have a distinctive honeycomb-like upper portion that is composed of a network of ridges and pits giving it a sponge-like appearance. The base is white or sandy-coloured, sometimes marked with brown blotches near the base; flesh is tough and it is hollow. IMPORTANT: There are false morels that are NOT edible - those caps are wrinkled not pitted and the cap hangs freely over the stem. 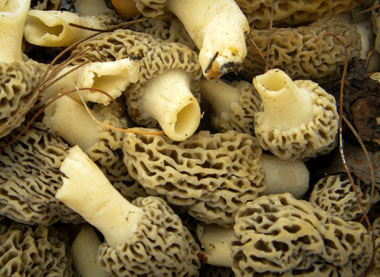 There are recorded deaths from people eating false morels. Height: Height can vary due to growing conditions and at what stage of growth they are at when you find them. Typically they grow to about 12cm (5"). 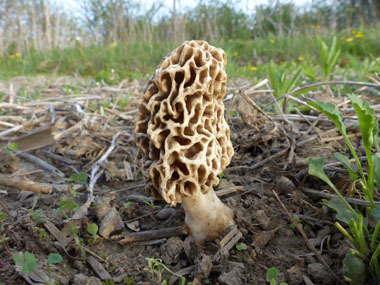 Habitat: Morels can be found all over the Northern Hemisphere, especially in North America. They also grow in Asia and Europe and are found as far south as Central America. 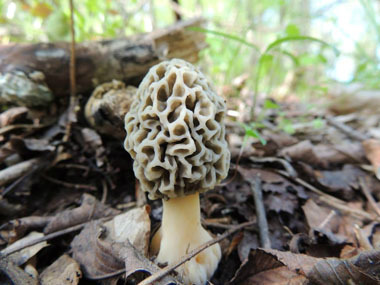 Morels are most commonly found in forested areas around dead elm trees, Sycamore, apple trees, under wood scraps and Ash trees, but can also be found in other areas especially in sandy woodlands. They tend to grow under objects on the such as decomposing leaves because of the dampness. Spore print: Creamy white or pale ochre. Season: Mid-spring (usually mid-May). 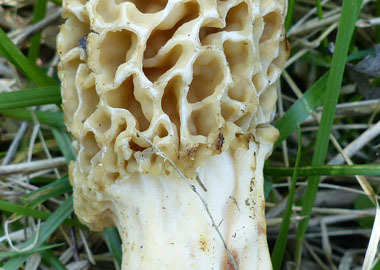 Black morels generally appear two weeks prior to the yellow morels. 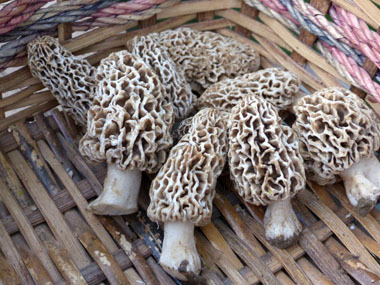 In warmer climates morels can appear as early as March and in colder climates grow until June. 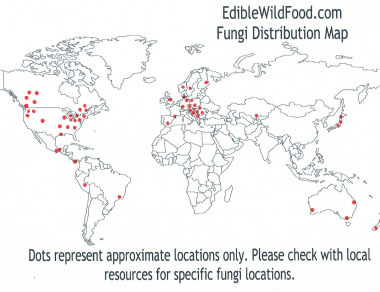 Edibility: Always cook before consuming. They are usually enjoyed sauteed or added to favourite meals. 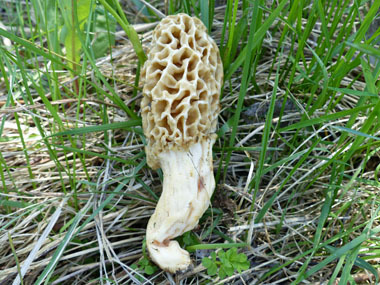 In addition to being a sought-after food for us deer, elk and squirrels enjoy feasting on morels.